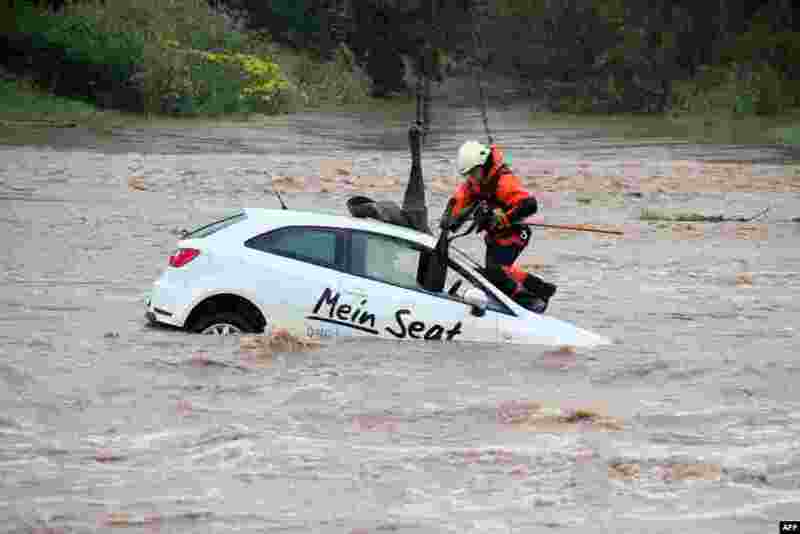 1 A rescue worker attaches a strap to pull a car out of over-flooded areas of the river Leine in Goettingen, central Germany. 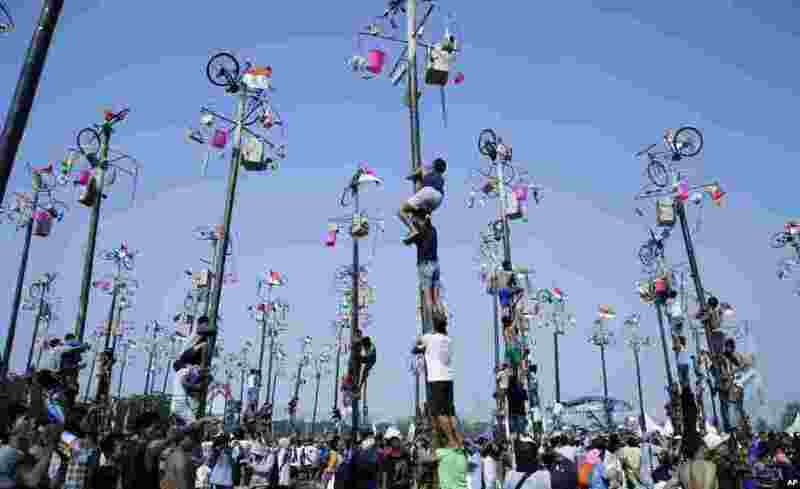 2 Indonesian men climb greased poles to retrieve prizes such as bicycles and rice cookers as part of the Independence Day festivities at Ancol Beach in Jakarta. 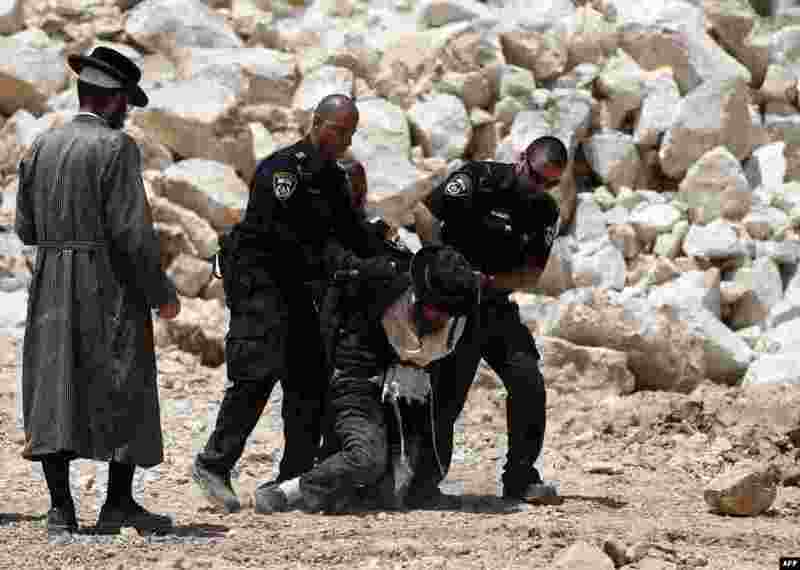 3 An Ultra-Orthodox Jewish man is arrested by Israeli policemen during a demonstration against the building of new residence units at a site believed to be housing ancient Jewish graves, in downtown Jerusalem. 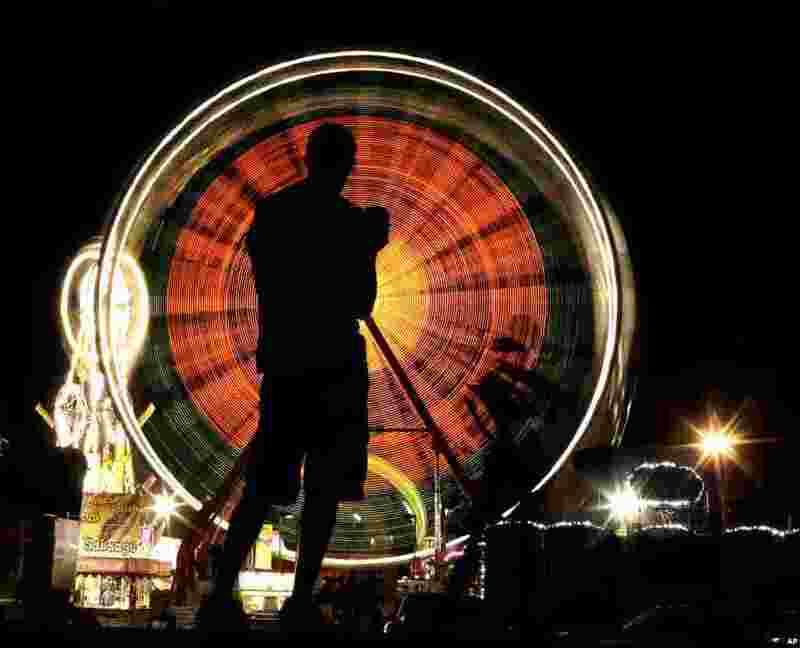 4 A fairgoer is silhouetted while watching the Ferris wheel at the Iowa State Fair in Des Moines, Aug. 16, 2015.